Short Information: Madhya Pradesh Professional Examination Board, MPPEB Formerly Vyapam are Recently Uploaded Result for the Recruitment Post of Mahila Swastha Karyakarta, Radiographer, Pharmacist, Lab Assistant,Technician and More Other Various Post Vacancy Examination 2017. 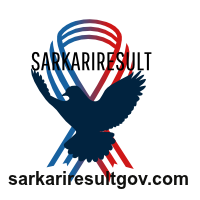 Those Candidates are Registered the Following Vacancy and Can Read the Full Exam Instruction And Download Result. Pay Exam Fee Through Cash at MP Online Authorised Kiosk Or Debit Card, Credit Card, Net Banking Fee Mode. Lab Technician 15 10+2 Intermediate Exam With PCB Stream and Diploma in Laboratory Technician with Registered in MP Paramedical Council. Lab Assistant 9 10+2 Intermediate Exam With Physics, Chemistry , Biology Subjects and Working Knowledge of Post. Lab Attendant 6 10+2 Intermediate Exam With PCB Subjects. Radiographer 141 10+2 Intermediate Exam With PCB Stream and Diploma in Radiographer with Registered in MP Paramedical Council. Assistant Animal Treatment Area Officer 215 10+2 Exam in Science /Math/ Agriculture Stream and 2 Year Diploma in Pashupalan Vighayan. Mahila Swastha Karyakarta ANM 1798 Passed 10+2 Exam in Any Stream and Training in ANM in MP , Registered with MP Nursing Council. Laboratory Assistant 1 Candidates Passed 10+2 Intermediate Exam With PCB Subjects. Laboratory Technician 182 10+2 Intermediate Exam With Diploma in Lab Technician and Registered with MP Medical Parisad. Eye Assistant 63 10+2 Intermediate Exam With Science Stream and Diploma in Related Post with Registered MP Medical Council. O.T Technician 1 For More Eligibility Details Kindly See the RuleBook /Notification. Registered Candidates Can Read the Full Exam Instruction and Download Result.